Over the next few decades, it wouldn’t be surprising if travel as we know it today might be seen as outdated. With the possibility our entire digital world coming together – online browsing habits, subscriptions, hobbies, taste – the travel and hospitality sector would reach a new level of personalisation and service. This sector is one of the world’s biggest markets constantly evolving to cater to the dynamic needs of today’s consumers. Travellers demand customised as well as connected experiences to ensure that they are able to post social media updates real-time. Dilip Puri, founder & CEO, Indian School of Hospitality says that in the next half a century or so, robotics and AI will be the future of almost every perceivable industry. “We have already got robotic bartenders mixing up martinis in so called ‘Bionic Bars’ on Royal Caribbean cruise ships, while the Henn na Hotel in Japan is the world’s first self-proclaimed hotel staffed by robots, complete with a rather charming robotic velociraptor for a receptionist,” says Puri. Travel prices are expected to rise sharply in 2019 with hotels going up 3.7 per cent, and flights 2.6 per cent, driven by a growing global economy and rising oil prices, according to the 5th annual Global Travel Forecast by Global Business Travel Association (GBTA) and Carlson Wagonlit Travel (CWT). The hotel outlook for 2019 driven by the overall increase in air travel, no doubt will fuel demand for rooms. Moreover, the increase of mobile penetration is forcing travel managers to offer travellers apps to accommodate greater in-policy booking autonomy. “The future of corporate travel can be summed up as accelerated personalisation – with mobile technology, AI, machine learning and predictive analytics all playing their part. Success is tied to technology, with sophisticated data-crunching at the very heart of it,” the report quotes Kurt Ekert, President & CEO. Recently, CWT India has invested in technology for medium and small companies (SMEs) to make bookings and enjoy certain benefits. Vishal Sinha, CEO, India, CWT, explains how its analytics solutions helps collect data on travellers’ habits “We can quickly generate a report through our AnalytIQs tool, which that shows us all the travellers from a given company who are in that city and where they are staying. Through our mobile app, we can update the travellers’ situation. Any changes we make to their travel arrangements also appear on the app,” he says. With the rising travel research on mobile apps, “research and travel bookings contributed to around 50-60 per cent of the total bookings about three years ago, and now contribute to more than 80 per cent of our total bookings,” says Rajnish Kumar, CTO & co-founder, ixigo. “Yes big data is helping in making the entire research process more efficient and cost effective for the consumers. By using machine learning, we are able to predict a lot of travel related aspects for the user, making the booking experience hassle free. For instance, the train PNR prediction feature on our app informs the user, the probability of confirmation for their wait-listed ticket. We also show flight fare prediction, which informs users whether it is the right time to book that flight or wait for another three days to get the same ticket for, say, Rs 1,000 cheaper,” says Kumar. “Thus, AI and machine learning, clubbed with big data, helps in making the entire travel research and booking process simpler and faster,” he adds. The year 2019 will also see a growing preference among travellers for ride-hailing apps while interest in high-speed trains will fade due to high network costs and low-tech distribution systems. Sunil Gupta, MD & CEO Avis India is of the view that car hire companies have a huge opportunity to disrupt the personal car ownership market in India where more than 65 per cent of population is under 35 years, the promise of India’s youth bulge for businesses is enormous. 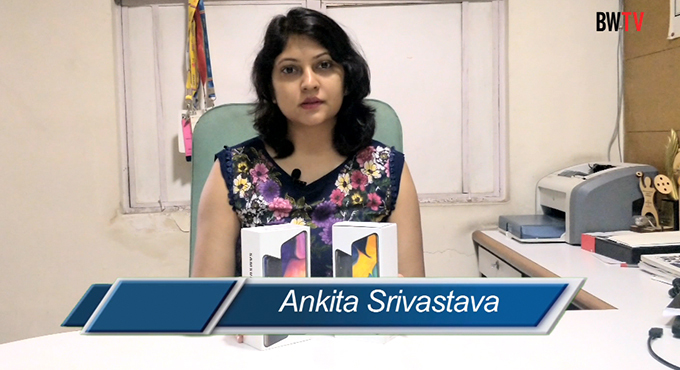 “The mobility category is essentially divided into two segments – inter-city and intra-city. With the rise in the smartphone market and easy booking processes, the inter-city is being mostly covered by the ride-hailing companies in India,” says Gupta. However, mobility solutions are predominantly used for intra-city mobility where ride-hailing is absent. 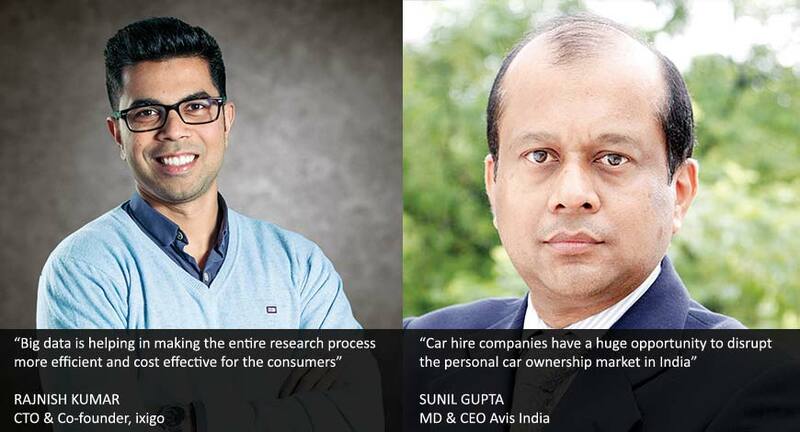 “As the shared economy takes off and ownership becomes less popular, Avis India will flourish more,” says Gupta since his company offers brand confidence and security to corporate and leisure travellers. 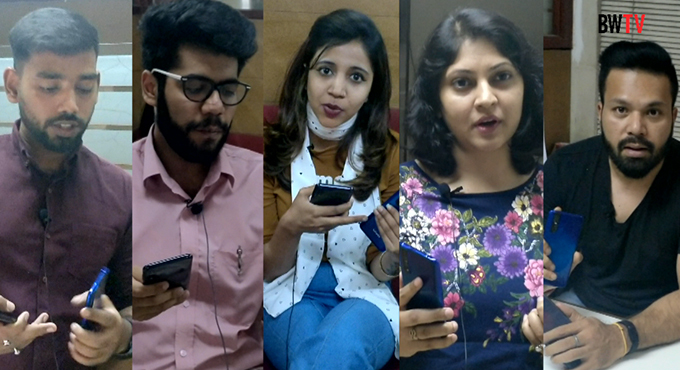 “Apart from high compliance and safety benefits, we offer the ease of booking with 24x7 customer support,” says Gupta who feels high speed trains have limited network with higher costs and dated technology, making it an unattractive option for the millennial. Manav Thadani, founder and Chairman of Hotelivate believes that robotics and AI will continue to grow and have already made big headway in the airline sector, improving passenger experience and speeding up services both during booking as well as at the airport terminal. 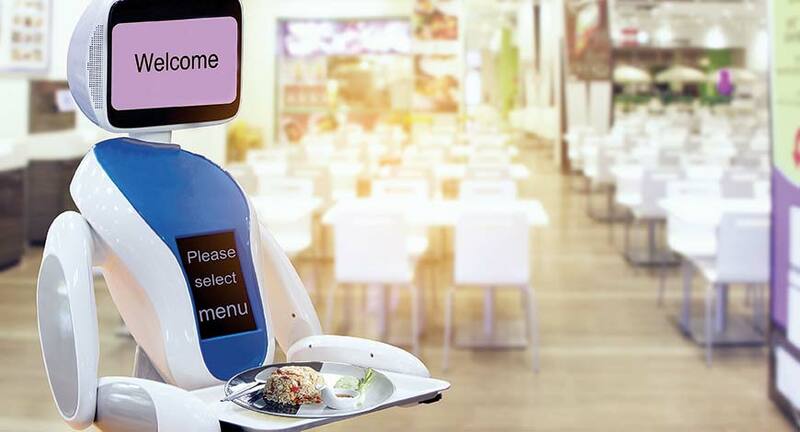 “The use of robotics and big data analysis is gaining traction from automated check ins/outs, customer data management and concierge services to assistance with housekeeping and maintenance. Even revenue management could witness AI playing a more incisive role instead of human intervention,” he says. In fact, the last few years have seen travel management subject to constant changes in weather, geopolitical risks, and unforeseen delays in flights, according to Siddharth Thaker, Managing Partner, Prognosis Global Consulting. “AI is better equipped to analyse the outcome based on data analysis and present analysis to proactively address these uncertainties and improve the overall travel management experience,” says Thaker. 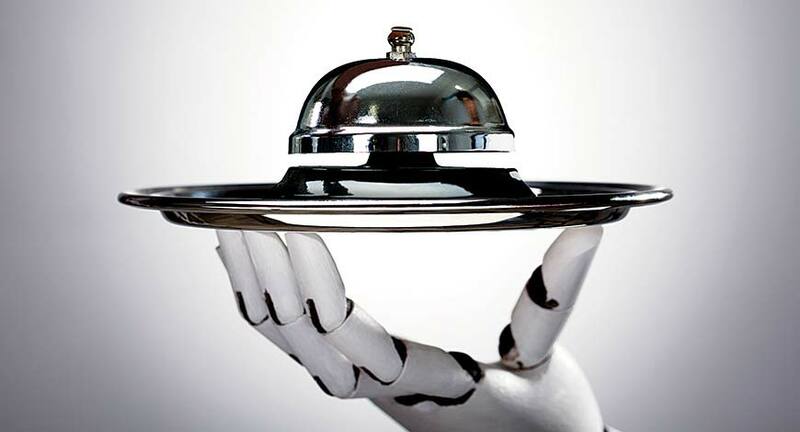 While the new age technology can improve the performance of hotels vastly, especially in the field of revenue management, customer data management, security, employee scheduling and utilities management, for some mundane jobs like cleaning of pools and flooring in public areas, and more visibly, the check-in and check-out process, could be handled by robots – freeing up the human employees for more value-generating activities. “During my trip to Singapore early this year, I stayed in a hotel that had a robot in the lobby to deliver fresh towels to my room or any other amenity I requested. However, we are still far from “fully automated hotels” becoming mainstream,” points out Thadani. On the other hand, Puri feels that the dependency on AI can help learn, compile and reveal information, and a robot can execute tasks, but human connection will still be the finishing touch, no matter how advanced our tech might be. With the use of mobile phones for all transactions, including the phone being used as a room key, Thadani believes space travel will be a reality in the next 10 years and smart hotels – not just smart rooms – will come up where the guest will have more control over their current and future stay experience with personalised settings that can be controlled and stored across the hotel. Puri says that the virtual reality with new sensory advancements on your next international flight that would see you having the time of your life skiing on the Swiss Alps, or treating yourself to some much-needed TLC at a virtual spa. “Smart (er) hotel rooms with voices of Siri and Alexa, using these disembodied helpers to get information on movie showings, book cabs, order dinner, or simply play us our favourite songs. The future hotel room would be 100 per cent voice interactive and would give the guest a new level of control over their own preferred experience, from the lights, mood and ease of use, and even have the ability to perhaps sense the customer’s mood and adapt itself accordingly,” says Puri. The latest improvements in Unified Access Control Systems (UACS) technology will have a significant impact on key operating processes, primarily in the area of accommodations management, explains Thaker. ‘Going keyless’ through UACS will redefine the guest experience at the critical touch points of ‘Check-in’. It will allow hotels of the future to do away with staid lobbies with static reception desks. Hotels will dramatically change their public spaces designs, incredibly adopting the concepts of ‘living rooms’ and ‘social hubs’. Robotics will also be deployed at restaurants to efficiently manage the wine cellars and wine labelling functions. The guest’s preference for food, grape type and region, vintage, etc., can be analysed to select the most appropriate wines. Human touch will reduce in the times to come, but will never disappear from hotels. “Many travellers still find robots impersonal. Thus, technology will need to be used such that it does not undermine the essence of “hospitality”. A combination of technology and human touch is a winner – technology could handle tasks that require more efficiency and humans can focus on improving the guest experience,” says Thadani. Travel management will always be about customising the experiences. “The need for human connect to effectively capitalise and deliver on the travellers’ primary desire to make deep emotional connections is here to stay. While travel companies are actively looking to ‘go asset light’ to free up valuable capital, they need just as much emphasis to see how their systems and processes can deliver efficiency and profitability margins, technology will be a big role in these functions,” says Thaker.